rendering freedom: Qual a posição do Koolhaas? / Where does Koolhaas stand? 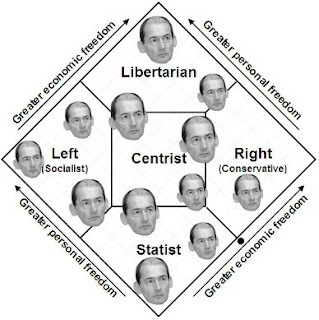 Qual a posição do Koolhaas? / Where does Koolhaas stand? Rem Koolhaas é provavelmente um dos arquitetos mais influentes no meio político internacional. Citado como um dos designers mais influentes pela Bloomberg e finalista das 100 personalidades do ano da revista Time, Koolhaas também criou o escritório AMO, um contraponto ao seu escritório OMA para atuar em em áreas além da construção, social, política, jornalismo, etc. Ele também foi convidado para trabalhar em um think-tank da União Europeia para bolar ideias para o futuro da instituição, depois de apresentar-lhes sua proposta para uma nova bandeira. Em uma entrevista para a Der Spiegel ele dá posições fortes sobre política internacional, e em outra ele confessa o seu interesse em entrar para a política - como um socialista. Porém, as coisas não são tão simples. É muito difícil inserir ele no Diagrama de Nolan, já que suas posições e ideias se mostram um tanto paradoxais. No artigo sobre o Muro de Berlin, escrito durante o período de Rem na AA, ele comenta que o lado oriental era o lado "bom", e esquece de mencionar que o muro foi construído pelo lado oriental para impedir as pessoas de irem para o ocidental. Já na sua pesquisa na Harvard Design School chamada Project on the City, Koolhaas elaborou diversos artigos e livros criticando o atual cenário capitalista globalizado, denunciando um consumismo exagerado e o suposto fim da identidade cultural. 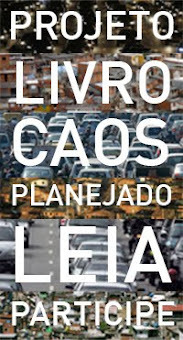 Porém, há diversas evidências que o puxam para um crítico do autoritarismo no planejamento, que o distanciaria de uma posição comunista ou socialista. "Beyond a certain critical mass, a building becomes a Big Building. Such a mass can no longer be controlled by a single architectural gesture, or even by any combination of architectural gestures." "...The only relationship that architects can have with caos is to take their rightful places in the army of those commited to prevent it, and fail. And it is only in failure, by accident, that chaos happens." "Gorky's disgust represents the modern intellectual dillema: confronted with the masses, whom he admires theoretically, in the flesh, he suffers from an acute distate. He cannot admit to this disgust; he sublimates it by identifying external exploitation and corruption as the reason for the masses' aberrations." "Manhattan's knowledge was stored in the brains of architects who made businessmen foot the bill - ostensibly for their own myths of hyper-efficiency, but in fact for the creation of a Culture of Congestion, distilled by the architects from the desires of the population." "Lagos is a city of huge contrasts. It has the elements of a modern city - skyscrapers, roads - but also a strong presence of the "informal". We are fascinated by the self-organizing entities of Lagos, like the Alaba International Electronics Market, which has become very powerful - it is the largest importer of electronics in Africa. Because of the defeciencies of the public sector, there are enormous initiatives taken by private institutions... The market is completely organized; it organizes itself - it has a chairman, and even its own system of law and order. Three days ago we watched a court case. There's even a small prison." "...we want a dynamic society. Give them free hand to operate. Let there be changes, economic revolutions. Let the money flow, let there be free economy. When everybody is busy the economy will take care of itself." "It's one thing to build the building. But isn't Koolhaas sounding like an apologist for the corruption and extreme capitalism of Beijing? His manifesto seems to embrace the language of Mao for a media conglamerate that is one of the the great powers in the People's Republic of China, and the source of much of the censorship in that country. According to Koolhaas's thesis of Forward Compatibility: "China is characterized by the need to spread opportunity and information rather than protect manufacturers and other established interests. It could use its dominant position, the force of its numbers, its economic power, and its central government to lead the world into a digital future." What would lead an architect of Rem Koolhaas's standing to voice such propaganda? Perhaps Koolhaas is simply taking advantage of the pervasive authoritarianism that is still the Chinese norm. Design approvals? No problem, when everyone serves at the pleasure of the Party! He almost seems to be luxuriating in the absence of the nuisance of the free market." A conclusão que eu chego com esta análise é de que Rem Koolhaas não tem coerência quando se trata de assuntos políticos, demonstrando ora irracionalidade para destas questões (um anarquista de esquerda, talvez?) ora uma tremenda flexibilidade verbal para agradar cada público a quem ele se apresenta, por motivos de interesse próprio. Seja qual for a opção escolhida, sugiro ter cuidado ao citar suas opiniões, deixando a parte mais relevante do seu trabalho apenas no campo arquitetônico, pela qual ele merecidamente recebeu o Pritzker. Rem Koolhaas is probably one of the world's most influential architects when it comes to politics. One of the world's most influential designers by Bloomberg and a finalist on Time's 100 list, Koolhaas has also created AMO, a counterpart to his OMA office for projects outside the architecture and urbanism design field, such as social and political projects. He was also invited to join a special think-tank for the European Union to come up with innovative ideas for it's future, after his proposal for a new EU flag. Being interviewed twice by Der Spiegel he gives strong positions on foregin policy, and also talks about his interest in joining politics - as a socialist. Nevertheless, it is very hard to locate him on a Nolan Chart, as his ideas are rather paradoxical. In Rem's article on the Berlin Wall, written while he studied at the AA, he says the eastern side was the "good" side, and forgets to mention the wall was built by the eastern side to prevent people from crossing over to the western side. On his reasearch for Harvard Design School called Project on the City, Koolhaas wrote several articles and books criticizing today's globalized capitalist system denouncing it's overconsumerism and a supposed end of cultural identity. However, there are several evidences that puts him as a critical of authoritarian planning, which would distance him from a communist or socialist position. The conclusion I reach with this analysis is that Rem Koolhaas is incoherent when talking about political affairs, demonstrating either irrationality on the subject (maybe a left-anarchist?) or a huge verbal capacity to please whoever he is talking to, probably by self-interest. Whichever two of these options, I suggest everyone to be aware when quoting his opinions, leaving the most relevant part of his work only in the architecture field, where he deservedly won the Pritzker.